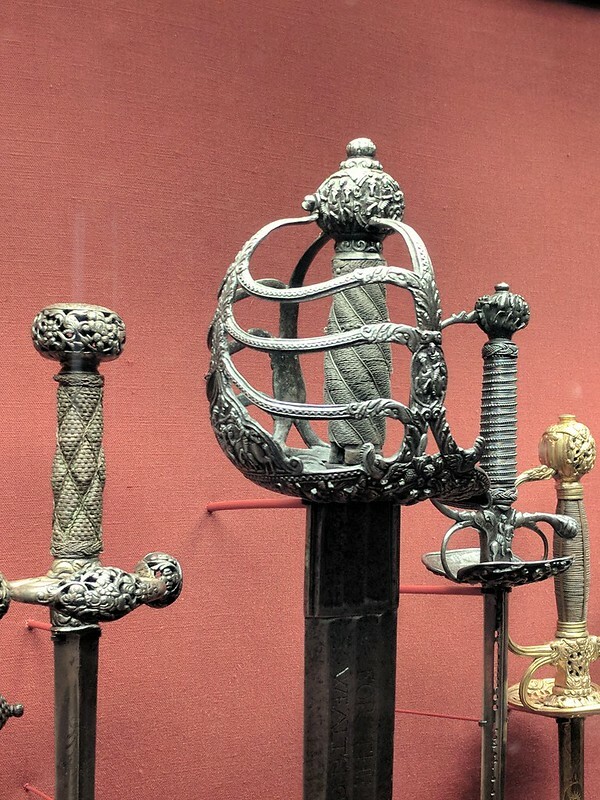 One of my favorite swords of all time. It's back on display at the Philadelphia Museum of Art. For many years it had not been displayed. I don't know the reason. Sorry the pictures are not better. 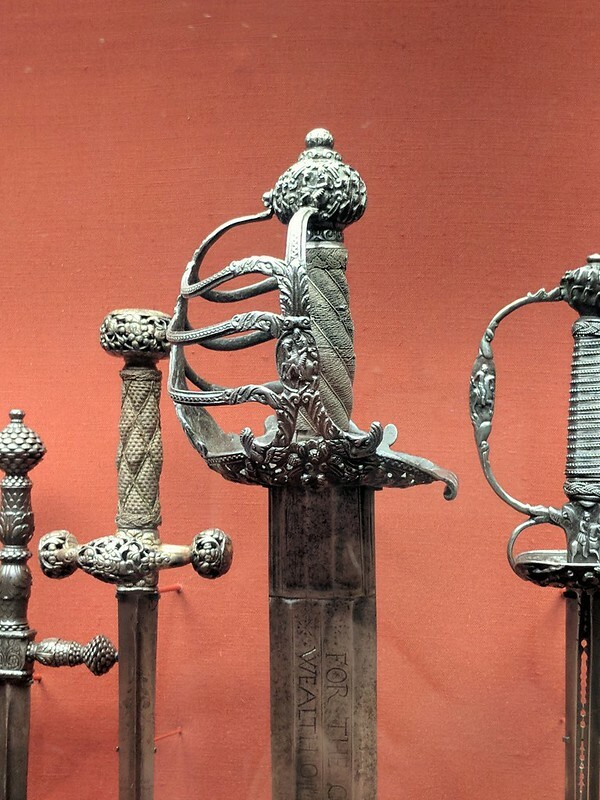 Its some what hard to tell in these pictures but the blade has multiple fullers similar to a cinquedea. It also has a VERY broad double edged blade which has the overall size and shape of many type X blades. That thing is a brute! 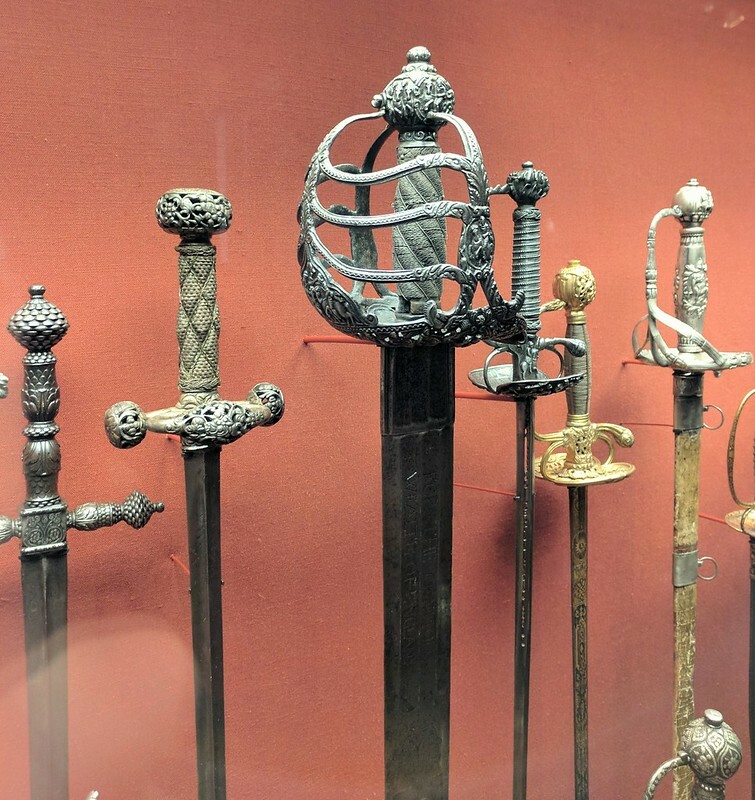 The fullers are gorgeous, but I have always wondered about potential spikes in the stress load of the blade where they terminate and transition into the next set. 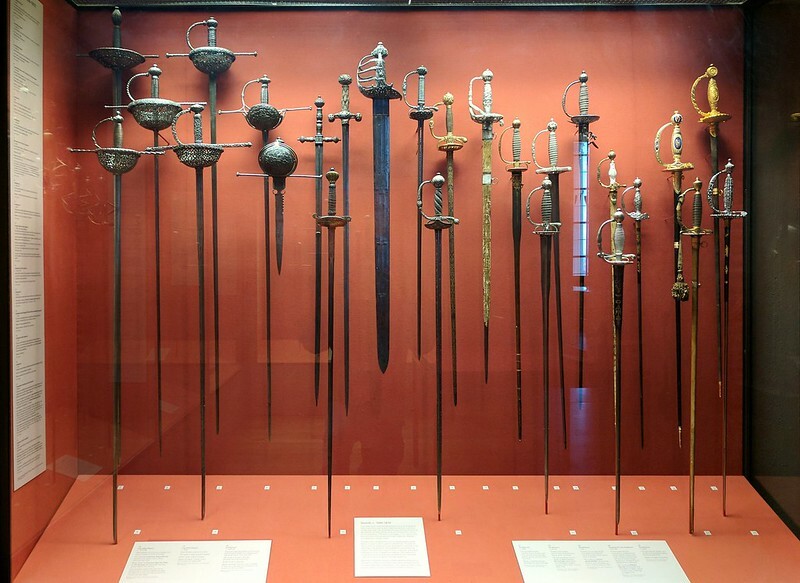 A study into that would make for an interesting exercise in blade design. 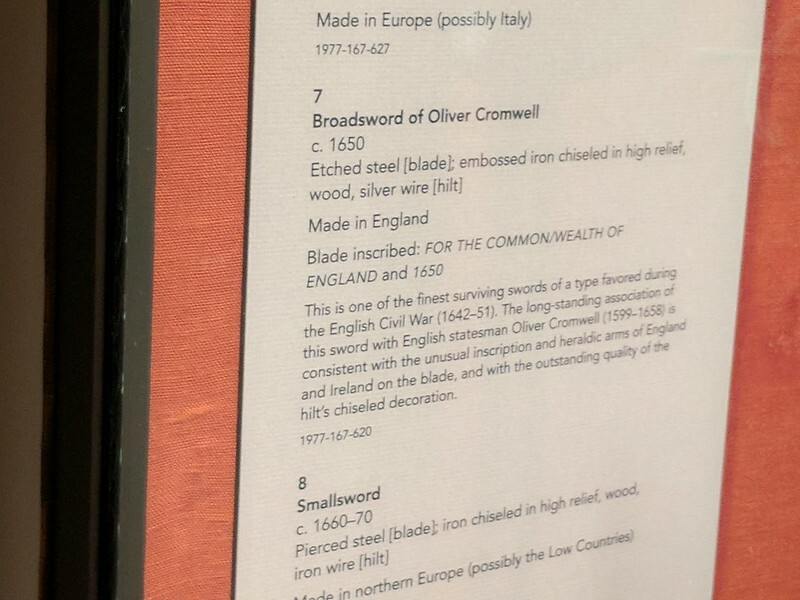 Goddamn, what a wide blade! That's impressive. Oh thats beautiful. I'm going to have to visit the museum again soon! Also, there's a XIIIb there that I'm thinking of having someone replicate. DAMN!! 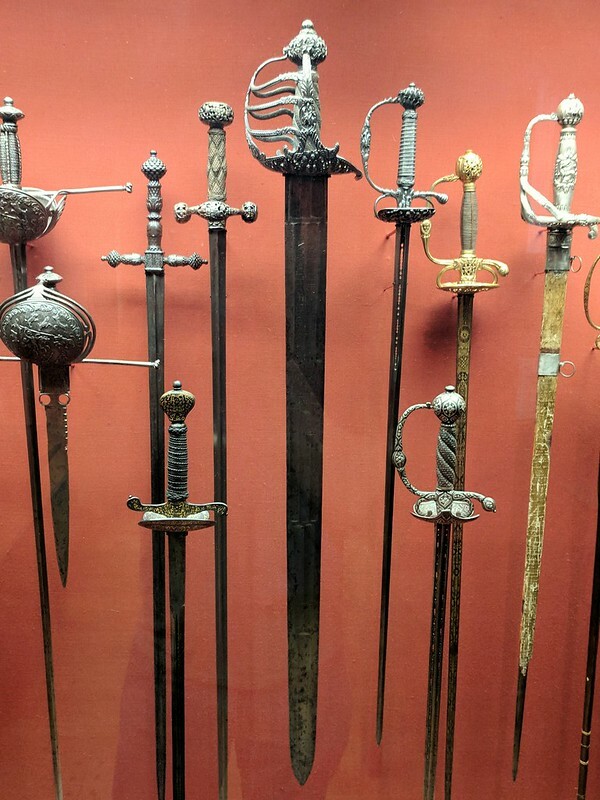 Now THAT is a sword! 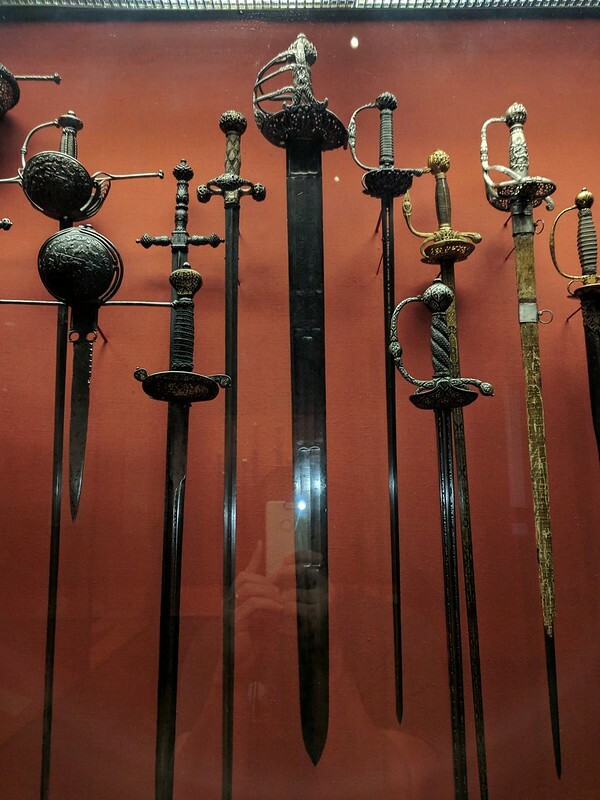 One of the first thoughts that came to me when I saw the photos was how would a sword like that handle? 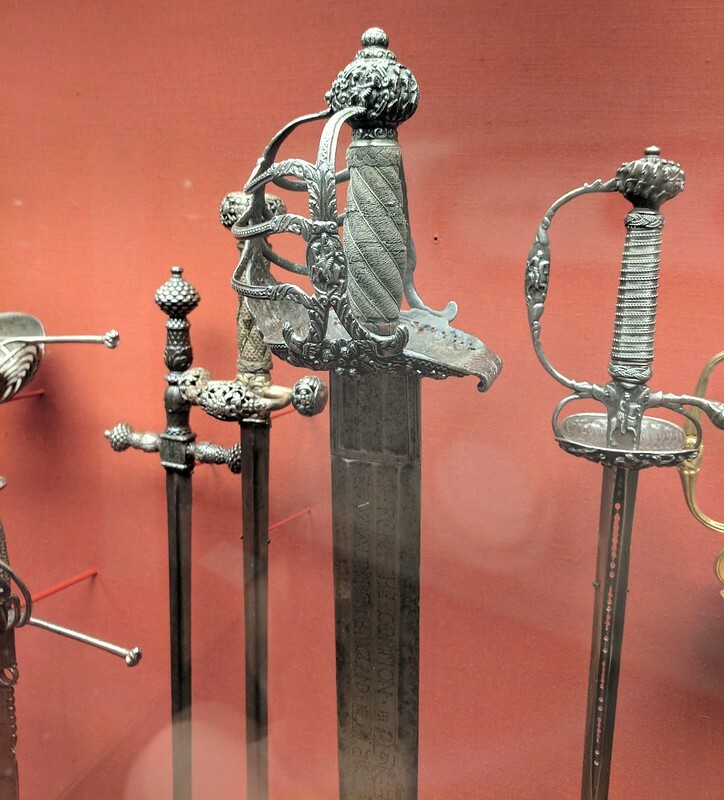 What if an enterprising smith made a sword with that blade configuration and a less ornate handle and someone put it through it's paces? I think that would be fascinating! That's fantastic. It wasn't on display when I went years ago. It's great to know it's out there again.